Published in: Decaisne, J. (1842). Mémoires sur les corallines ou polypiers calcifères. Annales des Sciences Naturelles, Botanique, Série 2 16: 85-120. Type locality: "...les mers Australes ou de la Nouvelle Hollande" [Australia]. (Womersley & Johansen 1996: 286). Holotype: Péron & Lesueur; PC (Womersley & Johansen 1996: 286). Notes: Lectotype: PC, General Herbarium, PC0028677, designated by W. Woelkerling & B. de Reviers in Harvey et al. (2009: 263, figs 1-6). Also shown as Fig. 1 in Harvey et al. (2013). John et al. (2004) cite the authority for this species as (J.V. Lamour.) Decne. Womersley & Johansen in Womersely (1996: 286) note that while common in warmer waters, this species extends along the southern Australian coast but has not been recorded from Tasmania; broader branched specimens appear to occur in deeper water (or shaded) habitats in Western Australia, with narrow ones in shallow water. Harvey, A.S., Woelkerling, W.J., Huisman, J.M. & Gurgel, C.F.D. (2013). 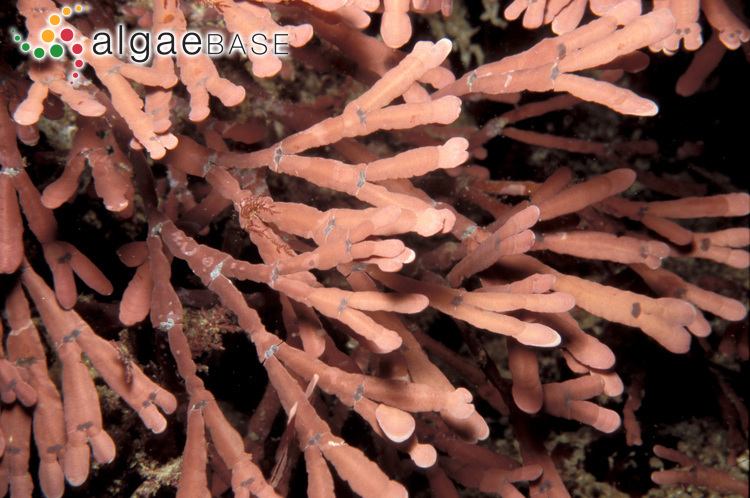 A monographic account of Australian species of Amphiroa (Corallinaceae, Rhodophyta). Australian Systematic Botany 26: 81-144. Womersely, H.B.S. & Johansen, H.W. (1996). Subfamily Amphiroideae Johansen 1969: 47. 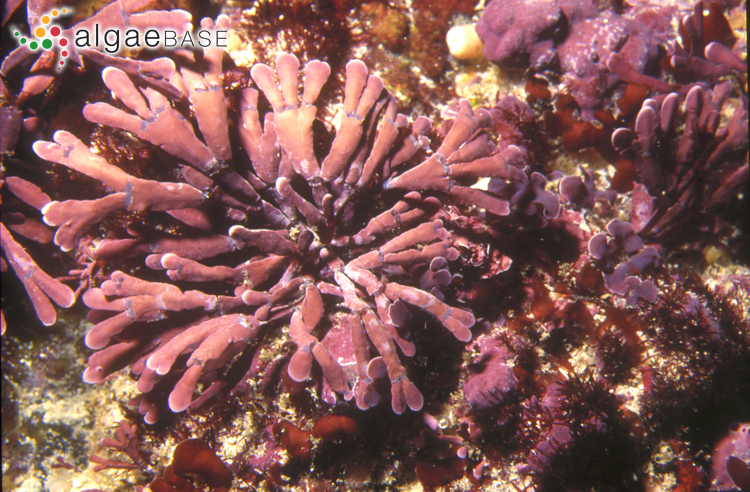 In: The marine benthic flora of southern Australia. 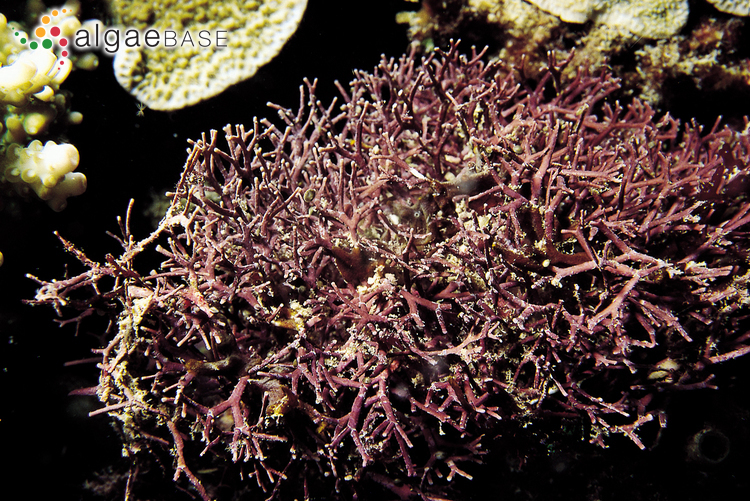 Rhodophyta. Part IIIB, Gracilariales, Rhodymeniales, Corallinales and Bonnemaisoniales. (Womersley, H.B.S. Eds), pp. 283-288. Canberra: Australian Biological Resources Study. Accesses: This record has been accessed by users 9119 times since it was created. Borowitzka, M.A. (1981). 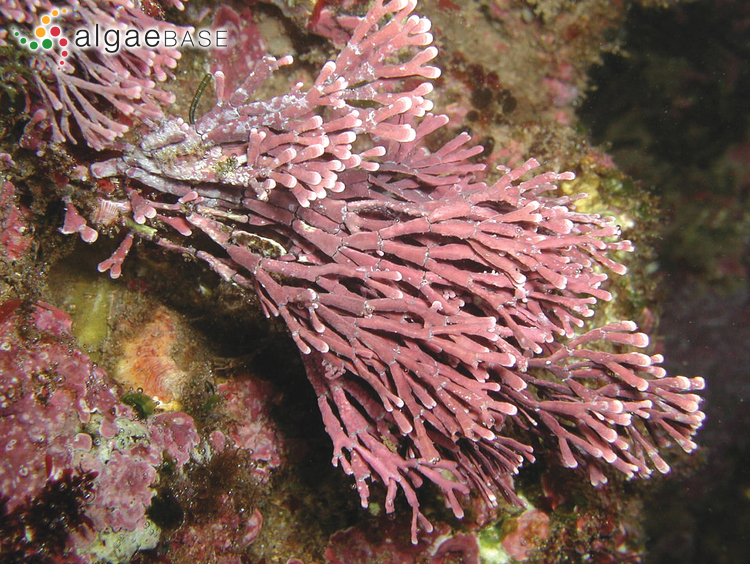 Photosynthesis and calcification in the articulated coralline red alga Amphiroa anceps and A. foliacea. Marine Biology, Berlin 62: 17-23.